Directed by Anders Østergaard. 2008. 84 minutes. Reviewed by Robert E. Gutsche Jr. Tear gas explodes. Choking fumes pollute the air. Soldiers rush the crowd of monks, tossing them into trucks. The protest is over. Many monks have been beaten; one is dead - the result of month's-long protest of an oppressive government in Rangoon, Burma in fall 2007. 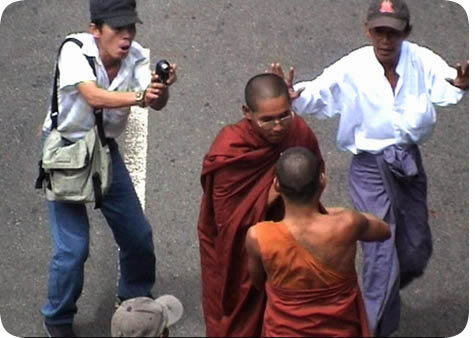 Within months, authorities will have arrested dozens of monks and fired upon citizens protesting in the streets. These images should enrage: Signs of political oppression and persecution captured by the trembling hands of a journalist videotaping subjugation and murder. "It is a difficult job," the narrator says. "But we try." Burma VJ: Reporting from a Closed Country is a story of journalism at its most powerful moments: the times when people become so enraged that they become empowered, when the video camera, the still image, one's persistence and sacrifice merge to tell the stories that no one else can hear and tell - or maybe that some people don't want to hear. Certainly, Burma VJ tells a story that many in power within that country don't want told. Directed by Karin Muller. 2006. 225 minutes. 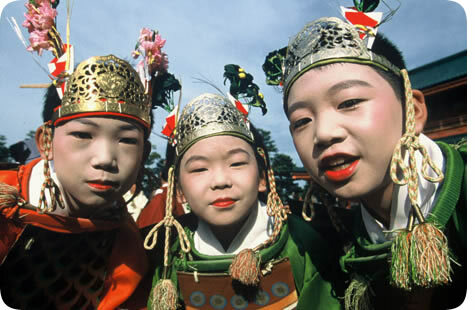 Japanland, a two-disc DVD set based on a PBS TV series which first aired in 2005, has now been reformatted especially for classroom use but will be of interest to anyone curious about Japan. Told from the perspective of Karin Mueller, a solo-traveling Japanese-speaking documentary filmmaker, (see bio below) Japanland contains 24 short segments grouped into four chronological episodes, each segment lasting 2-8 minutes in length, ideal for classroom use. The episodes cover three thematic areas: contemporary urban life, religious practice, and folk arts. Each episode, as well as each short segment, can be viewed either individually or in the chronological order of Mueller's year-long trip, accessed through a convenient DVD menu. Japanland is really two stories, intertwined: Karin Mueller's personal quest to find the "real" Japan, and the story of Japan itself.